Jennifer Trahan, a Clinical Professor at the NYU Center for Global Affairs. On July 17, the 20th anniversary of the founding document of the International Criminal Court (ICC), known as the Rome Statute, the court will be able to prosecute individual leaders for waging aggressive war against other states. Aggression is the fourth core international crime recognized under the Rome Statute in addition to genocide, crimes against humanity and war crimes. It was always part of the ICC’s role to prosecute it, but it’s taken years of lobbying and contentious debate, to finally activate the ICC’s jurisdiction over acts of aggression. But as the lawyers say “conditions apply”. To better understand the crime of aggression and what it may mean for leaders, Justice Hub is publishing a three-part series of interviews on different aspects of this ‘new’ crime. Only a limited number of countries have signed up to allow this jurisdiction potentially to affect their leaders. And like everything at the ICC, there’s no retrospectivity, so former leaders like America’s George W. Bush and Britain’s Tony Blair, even if their countries had signed up to the Rome Statute and to the aggression amendments, would not be affected. “I hope this will make leaders of countries think twice if they are considering invading a neighbouring state. They should know there is now a crime of aggression and indeed it is a leadership crime. I hope it actually does deter some states around the world. 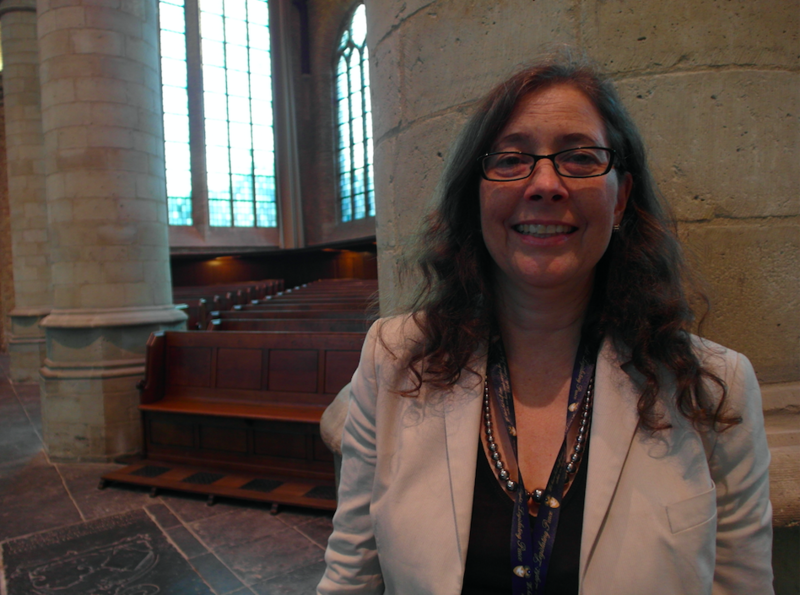 The goal of the crime of aggression is ultimately to try to deter the aggressive use of force, not to generate cases for the ICC,” said Trahan during her interview with Justice Hub. Our interview with Trahan is edited slightly for clarity and published here as part of our #MyJustice series. To read the other instalments in this series, click here for the interview with Donald Ferencz (the Convenor of the Global Institute for the Prevention of Aggression) and here for the write-up of our chat with Sheryn Omeri, a barrister at Cloisters Chambers. Justice Hub: What’s important for people to understand about the new crime of aggression coming into force July 17? Trahan: The International Criminal Court has its jurisdiction over the crime of aggression activating for the first time, this July 17. This is quite a significant historic occasion, building upon the precedent of the work of the International Military Tribunal at Nuremberg, which prosecuted crimes against peace. The crime of aggression also essentially provides reinforcement for the core United Nations Charter norm in article 2(4) prohibiting the aggressive use of force. Justice Hub: What does the crime cover? Trahan: The crime has two component parts. The definition (found in Rome Statute, article 8bis) covers, first, in paragraph 1, the individual perpetrator’s conduct, and, second, in paragraph 2, the act of the state of aggression. What the individual does is the “planning, preparation, initiation or execution” of an act of aggression. That individual also must be in a “leadership position”—that is, he or she must be in a position “effectively to exercise control over or to direct the political or military action of a state.” Furthermore, the crime is only committed when an act of aggression constitutes a “manifest violation” of the UN Charter. That means a super clear violation of the UN Charter by its “character, gravity and scale.” “Scale” means small incursions would not be criminalized. “Gravity” is similar. And “character” means it has to be a clear case for the crime to be committed; if you go to the negotiating history you will see that unclear cases are meant to be excluded. In the second paragraph of the definition we have the state “act of aggression,” and a list of covered acts such as bombardment or invasion. The second paragraph also quotes from the UN Charter article 2(4), so the definition is thereby consistent with the UN Charter. Justice Hub: One of the ways the ICC works is that it is possible for the UN Security Council itself to refer a situation and therefore individuals in a state to the ICC for prosecution for aggression. Is that likely? Trahan: First, the Security Council can’t refer individuals. It can (under Rome Statute Article 15) refer a “situation,” like in the past when it referred the situations in Libya and Darfur, Sudan. This leaves it to the Court to determine which crimes to prosecute and whom to prosecute. Now that the ICC’s jurisdiction regarding the crime of aggression is activating as of July 17, the Security Council can now refer situations and there will be four crimes that the Prosecutor could look into. Justice Hub: Is it likely that is ever going to happen? Trahan: Well, we really don’t know. Any referral would have to align with the politics of the Council. And it’s not a great situation to have a political body that has sway over what cases the ICC gets to take, but this is how it is. (The Security Council also holds deferral powers as well, so it can stop situations from proceeding.) It is not a flaw in the ICC’s founding document, the Rome Statute; rather, this is a way for the Rome Statute to accommodate the Security Council’s power under the UN Charter. Justice Hub: So why would the Security Council ever refer aggression to the ICC? Trahan: The Security Council won’t refer situations involving its permanent members or close allies of the permanent members because the permanent members would veto such referrals. Thus, Security Council referral won’t work in a neutral way, which is not ideal. This is why it was seen as so important to also have another way for cases to start. But could situations relating to aggression be referred by the Security Council? Yes, aggression that is committed not by a permanent member, and not by a close ally of a permanent member is quite up for referral. Therefore, referral is quite possible and I hope this will make leaders of countries think twice if they are considering invading a neighbouring state. They should know there is now a crime of aggression and indeed it is a leadership crime. I hope it actually does deter some states around the world. The goal of the crime of aggression is ultimately to try to deter the aggressive use of force, not to generate cases for the ICC. Of course, if any of the permanent members take a categorical stance against the crime of aggression being referred, indicating they will never permit referrals, any such potential for deterrence could quickly erode. Justice Hub: You mentioned another way to refer cases to the ICC? Trahan: Yes. We also have the possibility, as with the other crimes (genocide, crimes against humanity and war crimes), that the Prosecutor can initiate the process, or a State Party can make a referral (under Rome Statute article 15bis)—but this is only if there is also jurisdiction. Unfortunately, as to the crime of aggression, ICC jurisdiction is more limited than ICC jurisdiction regarding genocide, crimes against humanity and war crimes. We have different jurisdictional regimes—which is confusing, but important to understand. 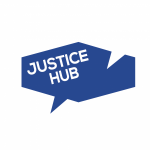 Justice Hub: What are the different jurisdictional regimes? Trahan: First, as to jurisdiction over the crime of aggression, non-States Parties are completely excluded (Rome Statute article 15bis, para. 5)—which is not true vis-à-vis the other three crimes, where, if nationals of a non-State Party commit genocide, crimes against humanity or war crimes in the territory of a State Party, there is ICC jurisdiction. Secondly, not all States which are Parties to the Rome Statute have ratified the crime of aggression amendment, and there is also a way for States Parties to “opt out” of the crime of aggression amendment under Rome Statute article 15bis, para. 4 (which two states have done). So there is less ICC jurisdiction over the crime of aggression jurisdiction than there is ICC jurisdiction over genocide, crimes against humanity and war crimes. Justice Hub: Some states have argued that the introduction of this fourth crime of aggression could make humanitarian interventions to try to stop something like a genocide more difficult in the future. What do you think of that concern? Trahan: First there isn’t much humanitarian intervention going on so I don’t know if this is going to influence that one way or the other. However, I actually think legally there isn’t that much of a problem. First, the proper route to humanitarian intervention is to obtain authorization from the UN Security Council. This always needs to be attempted first. The Security Council also has to use all the tools at its disposal and a full-scale use of force would be its last tool. So you would always look to lesser force authorizations first. But we do have the problem of members of the Security Council sitting on their hands – it may be due to the use of the veto by one of the permanent members, a veto threat, or just implicit that there would be a veto so that nothing is ever proposed. “Humanitarian intervention” (i.e., intervention for humanitarian purposes absent Security Council approval or consent of the host country) is a deeply contested doctrine that we are forced to consider because of abusive invocations of the veto, blocking action even in the face of atrocity crimes. Justice Hub: Can we understand those concerns then by looking at any past examples? Trahan: This was the situation for instance in Kosovo when NATO did intervene in what we generally describe as humanitarian intervention. I think that type of situation would make a very poor case for ICC prosecution. I’d be surprised if the ICC didn’t realise the optics in a case like that when all NATO members agreed upon intervention. That’s maybe our strongest form of humanitarian intervention—a multilateral intervention endorsed by a regional organisation. I think it would make an incredibly poor case for prosecution, because with humanitarian intervention, the intervenor is trying to prevent the very same atrocity crimes that the ICC prosecutes. Of course, we will never go back to that NATO intervention because the Court’s jurisdiction as to the crime of aggression is only going forwards, starting July 17, 2018. But if you were looking back (hypothetically), NATO’s intervention, which was widely recognized as “legitimate” if not perhaps “fully legally,” was certainly in enough of a legal “grey area” not to constitute a “manifest” violation of the UN Charter, and thus not the crime of aggression. Justice Hub: Do you imagine leaders in some countries saying, “well we’d love to intervene in this terrible situation but we can’t because there is this whole crime of aggression problem that we could come up against now”? Trahan: States could only make that argument if they are actually under the ICC’s jurisdiction vis-à-vis the crime of aggression. Countries that might lead such interventions have not ratified the crime of aggression amendment or are not parties to the Rome Statute. So, at least under some readings of the “activating resolution” from last December’s Assembly of States Parties meeting, only if the 35 countries that have ratified the crime of aggression amendment argued this, would their point make any sense. But we don’t have Liechtenstein or Switzerland leading humanitarian interventions. So a country could only use this argument if it is subject to jurisdiction and the countries that appear somewhat interested in humanitarian intervention have avoided or side-stepped jurisdiction (or attempted to do so), so they can’t really make this argument, having done their best to insulate themselves from the crime of aggression jurisdiction. Note, of course, that intervention should either be authorized by the UN Security Council or consented to by the host country, in which case no issue of the intervention constituting the crime of aggression even arises.